Hire experienced Windows phone app developers or your Windows phone app development to expert windows phone app programmer at our mobile app development center in India. Our Windows phone app development team has more than 5+ years of experience in windows app development. 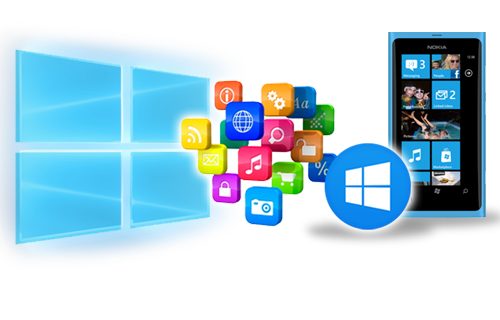 Windows is a powerful and competitive mobile technology platform in the industry for both consumer segment and business users. Our windows phone app developers continuously learn and research on Windows phone new mobile technologies and offerings. Our Windows phone application developers develop application on newer versions of windows mobile applications. We at SummationIT have specialized skills in windows phone app development. The expertise of Windows platform and mobile development makes us a unique player in developing applications. Our windows app developers’ have skills on Windows .Net framework, Visual studio and can build or develop customized, complex and strong applications for windows phone. At SummationIT, consistent result oriented and rich experience team focuses on mobile app development with a high concentration on Windows phone app development. The team can deliver better windows apps at low cost and on time. Over 5+ years of work experience in mobile app development we have delivered versatile application on windows phone. Our skilled in house talent have hands on experience in developing professional and stunning windows based mobile app development. SummationIT provides expert windows app development services. Achieve best results out of windows technology working with experts on windows phone app Development. We have delivered multiple mobile apps on windows phone applications. Windows App Development to SummationIT, experts at windows app development. Our windows phone app developers understand the importance of time to market for a windows phone app, hence they develop accordingly. We have proven track record of delivering excellent service to our clientele. Below are the few mentioned benefits you will get when you work with the expert partner SummationIT. Expertise of 5+ years in Windows phone App Development. Dedicated Team for Windows phone App Development. Need Windows App Development for your project or product?